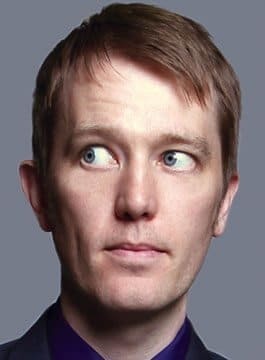 Alun Cochrane is an award-winning stand-up comedian and broadcaster. He was featured as series regular ‘Sam’ in the Sky Living sitcom Trying Again, alongside Chris Addison. Alun is also the co-host of the award-winning Frank Skinner Show on Absolute Radio. Other radio credits include; The Now Show, Just A Minute, Dilemma, Loose Ends and Lee Mack And Friends. In 2004, his debut Edinburgh solo show ‘My Favourite Words in My Best Stories’ garnered him a handful of four and five star reviews and a Perrier Best Newcomer Award nomination. Alun Cochrane is available for awards hosting and corporate comedy performances.